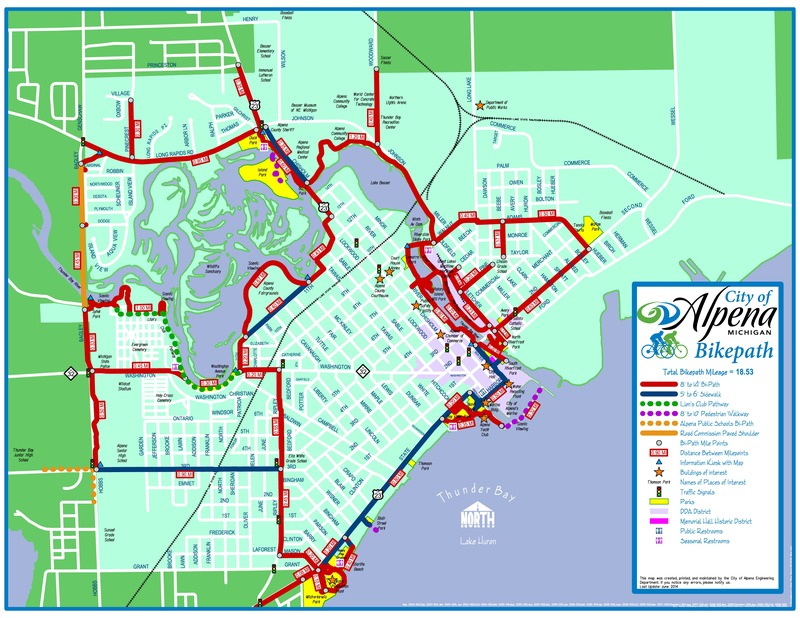 The Bi-Path is an urban jewel built by the City of Alpena. In addition to some nice cityscapes, it features pleasing scenery along Lake Huron and the Thunder Bay River. Almost flat, it is all paved and suitable for all uses and is mostly dedicated. 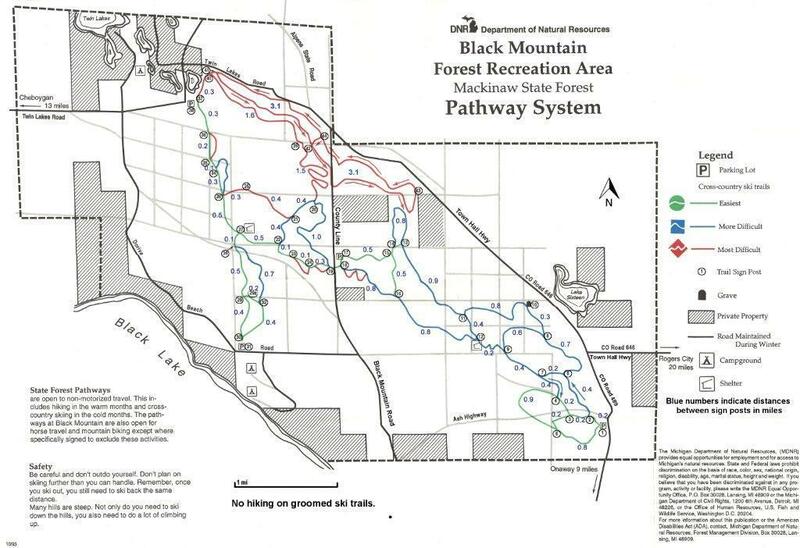 About 14 miles in length, it consists of one great loop and several spurs or connections that add potential distance and variety to the route. 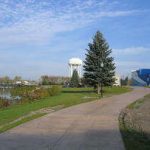 Many civic attractions are linked together by the trail, including the Alpena Wildlife Sanctuary, Water Works Park and Bayview Parks. Parks and other amenities are conveniently spaced along the trail. There are also good opportunities for loop rides on local roads that come into or across the bi-path. Snowmobiles are prohibited. 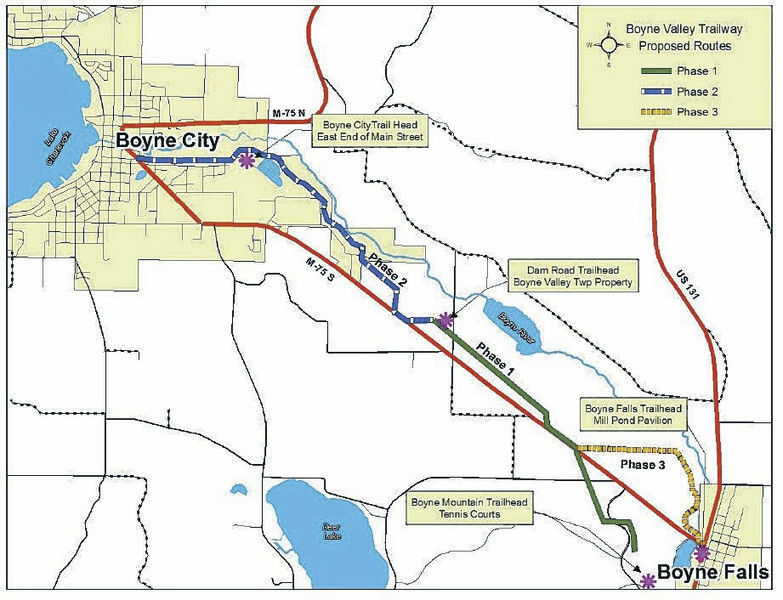 In 2007, the City began expansion of the Bi-Path into the northern part of town to connect parks, schools and other attractions and add several additional miles of trail. Two extensions were completed in the fall of 2007: The first runs from North Riverfront Park along Fletcher Street to the NOAA Great Lakes Maritime Heritage Center. The second runs along the Thunder Bay River from Ninth Avenue to the Bi-Path at Fletcher Street and includes a bridge to Rotary Park. 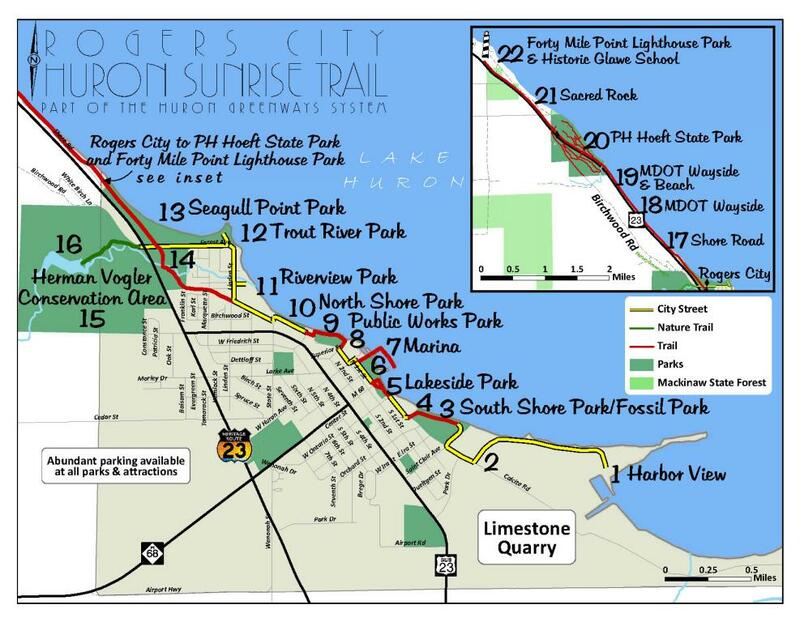 The trail also includes a link to the unpaved Alpena to Hillman trail.